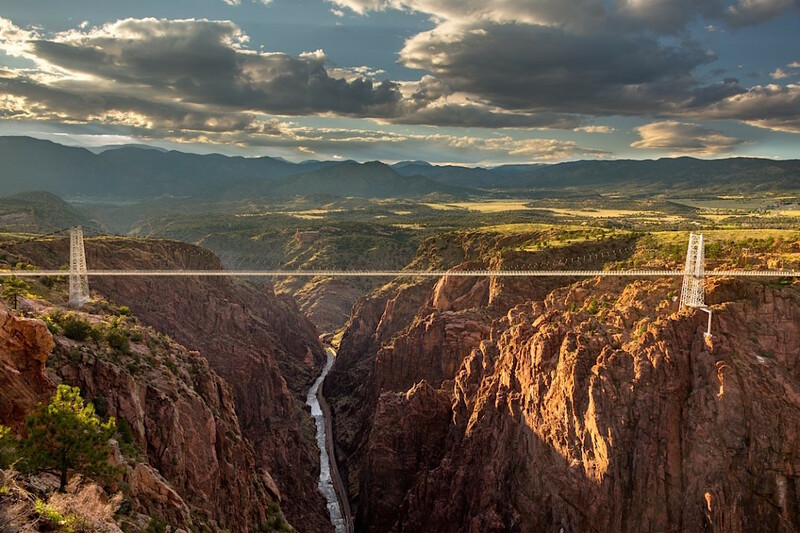 Royal Gorge rafting is Colorado’s whitewater rafting at its best. Raft the Royal Gorge of the Arkansas River 955 feet below the Royal Gorge Bridge. Experience class IV-V rapids like Sunshine Falls, Sledge Hammer, Wall Slammer, Boat Eater, and more. The full-day tour starts in Lower Bighorn Sheep Canyon, stops for a catered lunch, and continues on through the Royal Gorge in the afternoon. The half day tour gets right into the Royal Gorge. This is one of the best whitewater rafting trips in Colorado.